Canada Woodworking East comes to Saint-Hyacinthe, Quebec Oct. 24-25. Eastern Canada’s Woodworking Machinery & Supply Show in Saint-Hyacinthe, Quebec Oct. 24-25, marks the third edition of this biennial woodworking show. Canada Woodworking East is the only bilingual show for the cabinet and furniture industry and offers a chance to connect with Eastern Canada’s secondary woodworking market. 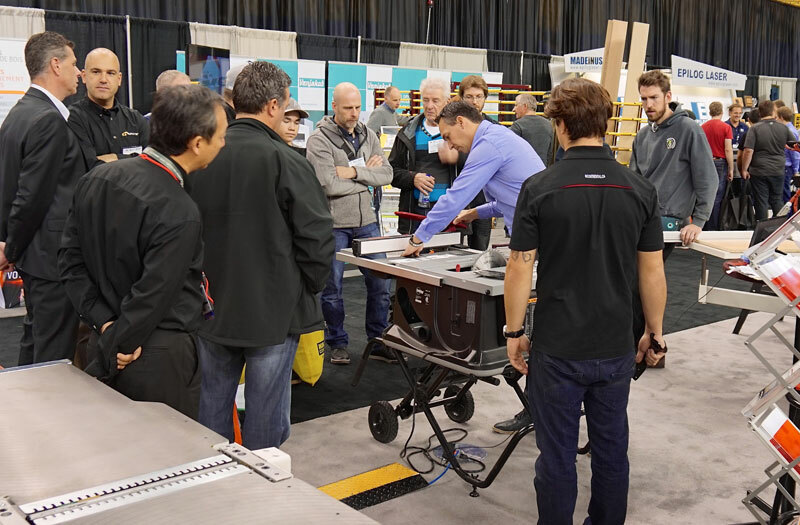 From forward-thinking educational seminars to an expansive exhibit floor and limitless networking opportunities with industry peers, Canada Woodworking East is the only show focused on Canada’s French and bilingual secondary wood marketplace. Canada Woodworking East 2018 will offer a unique opportunity to connect with thousands of top quality buyers. The show offers the very latest in woodworking machinery, tools, coatings, hardware, software, cabinet components, board products, sanding and finishing equipment, supplies and more... from the leading manufacturers and suppliers in the Canadian secondary wood industry.